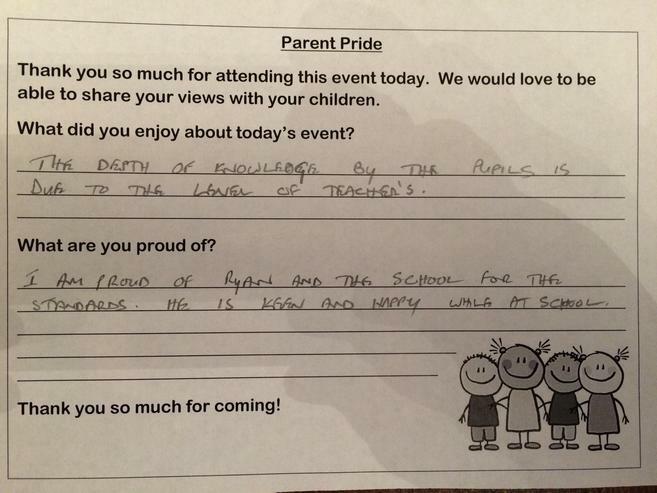 On this page, we will have a celebration of parents views! We know what an important role parents play in their child's learning and we want to use your enthusiasm and celebrate your children with you! Here are some of the lovely feedback which we received about our times table workshop. 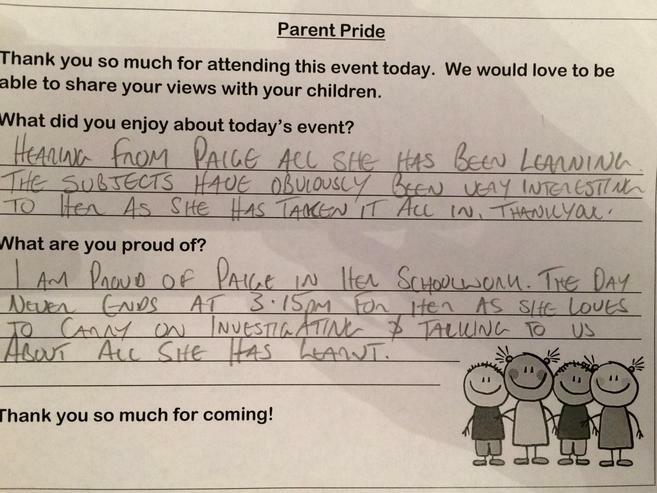 It was brilliant to see so many parents there. It was wonderful seeing so many parents at our Year 5 event. 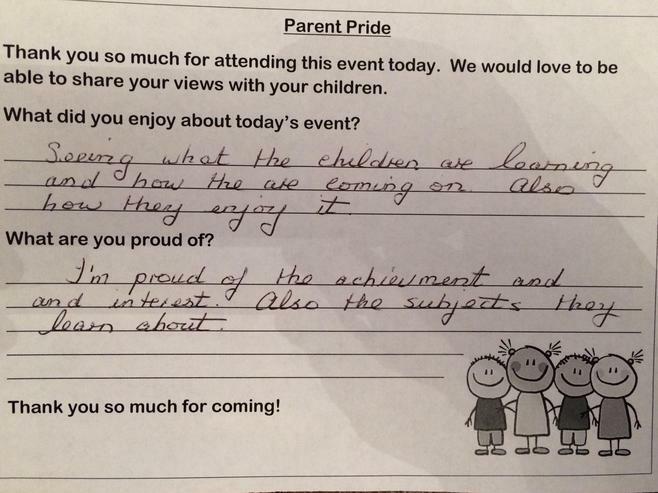 Here are just a few of their comments which show how proud they are of their children. What a fantastic community we have at Westerhope! 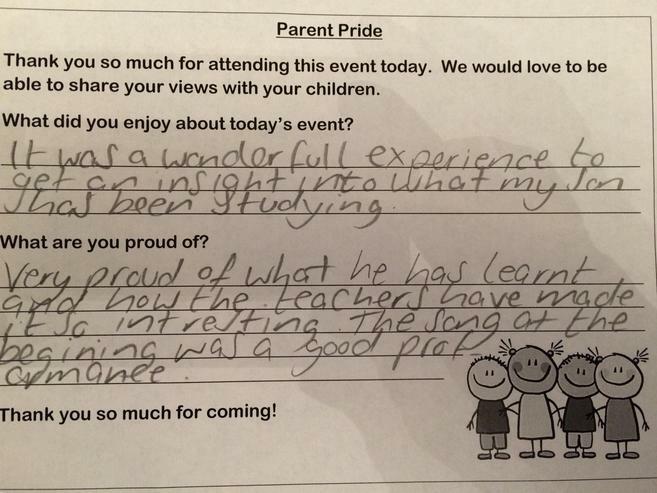 It has been so wonderful seeing so many parents in school for year group events. From discovering about outdoor learning, to superheroes, friendship and the Stone Age - it has been a delight to share activities and children's learning with you! Here is some of the feedback which we have received! Once again, your support is greatly appreciated. 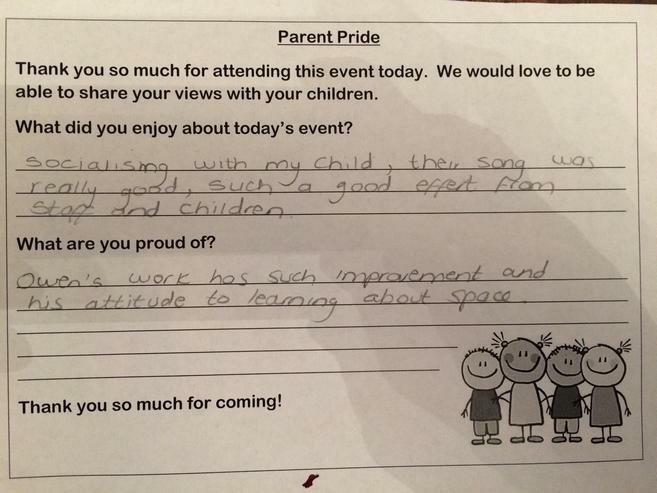 Thank you so much to all our fantastic parents who came to parents' evenings this week. We love chatting to you about your children. 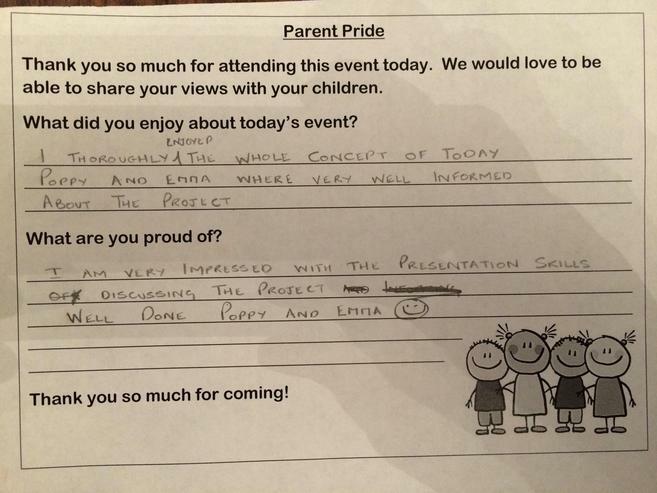 Here are some of your comments from our parent pride board. We really value your opinions. Thank you so much to all the parents who attended our recent phonics workshop. It was lovely to see so many of you there. Here is a snap shot of the feedback we had. From your requests, we will be following up these sessions with drop in phonics sessions for parents in the Spring Term. Thank you again for all your support! Please let us know anything which you are proud of and we will add it to this section of the website. We can't wait to hear from you!